Another book of amazing books! I got in a lot of listening but not necessarily a lot of reading--only one book (but it was a great one!). We were moving this month so I was a bit busy with that (but always an opportunity to listen to audiobooks while packing away, right?). I also read more graphic novels because I had been light in my reading of them of late (besides the ones that I'm reviewing). In other interesting news, I was featured in Inside Higher Ed for my proclivity for audiobooks and using Goodreads. In other words, I was recognized for the audiobook nerd that I am! 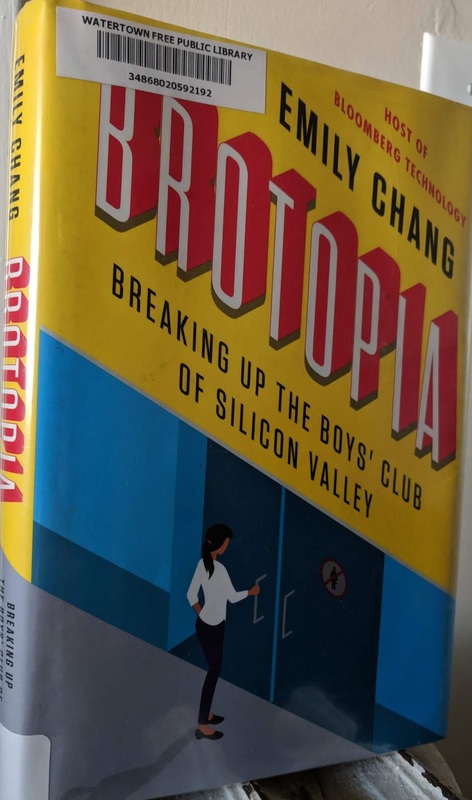 Chang critical look at the misogyny and chauvinism of the tech industry that sits well with books like Weapons of Math Destruction: How Big Data Increases Inequality and Threatens Democracy, Algorithms of Oppression: How Search Engines Reinforce Racism, and Technically Wrong: Sexist Apps, Biased Algorithms, and Other Threats of Toxic Tech, providing another vantage point by which to understand the tech industry. 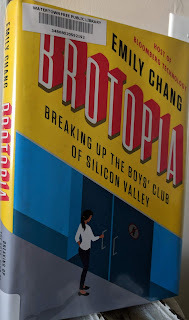 In particular, Chang takes on the often-touted but never-true idea of technology being a place of genuine meritocracy. Instead, she traces from the beginning of computers in the 1960s and 1970s to the present, how a variety of tactics in higher education and the industry itself have led to not only alienating women but being outright hostile and aggressive towards women either as programmers, venture capitalists, critics in the field (e.g. Gamergate), and others in the field. Instead of a meritocracy that recognizes and promotes based on skills (skills that the industry itself claimed were largely masculine based upon dubious standards set decades ago), Chang reveals through research, interviews, and explorations of the repeated scandals throughout the industry that the tech industry is overwhelmingly a boys club often attempting to promote the idea that tech will set us free while simultaneously caging women's opportunities and equality. Many people like to talk about the poor and much of that talk comes with "advice, assumptions, and condemnations that are about as useful as they are grounded in a sense of reality for those living within poverty. With wit, eloquence, and a keen sense of making her experience so palpable that readers can feel the exhaustion of life on the edges, she paints a vivid picture of the ceaseless balancing act of having to constantly sacrifice her health, comfort, and energy to acquire something that is only marginally less-worse than what she already has. And because the US social safety net is so precarious, Kafkaesque, and tedious, the ability to meaningfully cope (or rather cope in a way that is actually affordable) is pretty marginal. Therapy would be great but co-pays are such that she's going to sacrifice lunch for a few weeks; yoga could do wonders but studios aren't affordable or local, not would she have the time to go to one since she is constantly working at jobs that have unstable hours while also raising kids with her partner. But what is available cheaply and locally: cheap junk food, cigarettes, and alcohol; thus such things become one of the more likely ways in which coping occurs, because when life is measured in pennies and society shows so little concern or value for one's struggles, coping mechanisms abound. That's the crux of Tirado's book and it's so damn powerful and well-said that everyone should read it to better understand what poverty looks like in the US. In this updated edition (just after Trump's election), Bonilla-Silva explores how the blatant racism of yesteryear has been replaced with a racism that is best described as color-blind racism. Color-blind racism is grounded in the idea that if people claim they do not see skin color or to act overtly harsh towards people of color, they are not racists (like white supremacists) and therefore, their actions are motivated by something else (market values, evaluations of self, etc). Bonilla-Silva dumps that ideology on its head and shows exactly how color-blind racism perpetuates racism and white supremacy within the United States. Besides articulating historical and cultural contexts that create this situation, he breaks down two sociological studies that he conducted among white college students and working-class folks to unpack the ways in which racist assumptions are embedded in how they perceive of, discuss, and interact with people of color. Bonilla-Silva is a master in unpacking the assumptions present within how the subjects discuss race and tying it into the hypocrisies of color-blind racism and readers will appreciate this book that provides a language and pathway to articulating the problems of color-blind racism. Furthermore, Bonvilla-Silva's critical take on the Obama presidency and the election of Trump also prove helpful in understanding how much racism pervades the modern US culture. Kelsky's methodical and meticulous exploration of transitioning from a doctoral student into a professional in academia is a must-read for anyone (even in undergrad) thinking of pursuing a doctorate degree for the purpose of a university position. Her argument for the book is sound: competition for tenure-track is fierce and getting fiercer, nontenure-track positions are increasingly more exploitative, and without a serious means to economically exploit a doctoral degree will leave recent graduates with lots of debt and few opportunities. Her approach is a critical and non-sugarcoated romp through the nuts and bolts of making one marketable by being the utmost academic profession one can be by leveraging every single opportunity to network, earn CV-valuable credits, articulate value and experience, and leverage past opportunities into new ones. She's thoroughly explored all parts of the process and has a clear means of conveying how students can move forward. Beyond that, the book is just a fascinating look at the inside world of academia and how toxic it the experience can be. Often, Kelsky's advice helps readers navigate problematic conversations and situations they will have to navigate that have so much less to do with the actual work and scholarship and more to do with the egos and questionable practices of scholars. 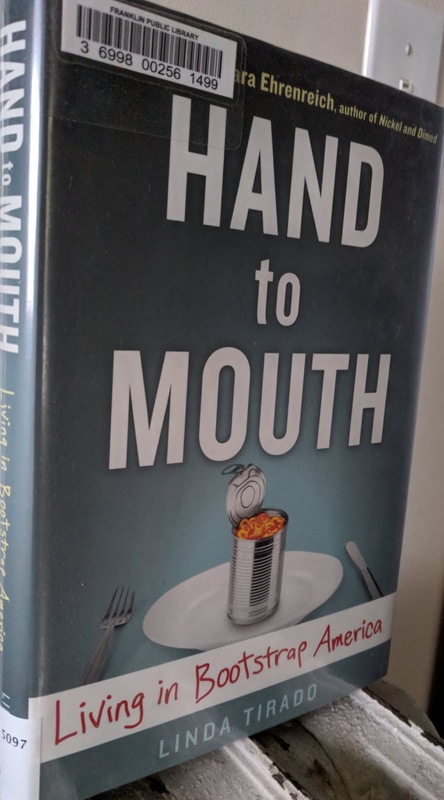 In that vein, she's willing to turn over all the rocks of academia to help prepare readers to face some real ugly truths about the environment. Such keen advice is largely absent for students entering into doctoral programs or only comes along, well after students are stuck in the sunk costs fallacy. People contemplating going into a doctoral program (or their loved ones) show make sure this book ends up their hands. Here's the full list for July!